Many PGA Tour golfers attribute losses to the inability to manage pressure at critical moments during tournaments. For that reason, some golfers have a couple misconceptions regarding pressure: (1) Pressure is caused by challenging moments during a round and (2) Pressure is to be avoided at all costs. While it is true that excess “pressure” leads to anxiety, over-thinking, and poor performance, “pressure” is needed for optimal performance. If an athlete can remove the mystique around the concept of “pressure,” he can start performing at peak levels when competition is tough. 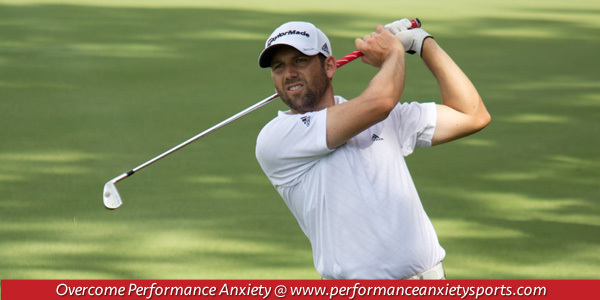 Adam Scott, Australian professional golfer, understands the very nature of “pressure” including its benefits. Scott has 10 PGA Tour victories with his biggest win being the 2013 Masters Tournament. Scott’s Masters victory marked the first time an Australian won the Masters Tournament. Scott holed a 12-foot birdie putt during a sudden-death playoff to record his first major championship. Scott’s quote above provides a great understanding about the nature of pressure. Pressure does not result from external events (competitions) but rather from an internal perception of the competition or threat. Excess pressure is something an athlete puts on himself and has several antecedents such as the fear of failure, worry about disappointing others, anxiety about ranking, fear of making mistakes, panic about blowing a lead, need to be perfect, difficulty winning important tournaments or history of playing poorly against rivals. Another key to Scott’s view of pressure is that an athlete needs some level of “pressure” to perform optimally. An athlete shouldn’t seek to eliminate the sense of pressure, but manage or harness one’s emotion to challenge and expand his capabilities. To perform at your best, you need that adrenaline that energizes you and creates excitement to compete and challenge yourself to greater heights. You have a choice on how you view “pressure,” and that perspective will either allow you to thrive at critical points in competition or cause you to mentally break down and choke. Remember, you must understand that pressure is created internally and, in some degree, is necessary to perform optimally. You belief will be vital in rising to challenges and performing well under pressure. Check out our Mental Game Coaching Programs to improve your mental toughness!